If you are like me a couple of months ago I had no idea what chia was – now I am seeing it everywhere I go, it’s in magazines, shops and Kelly Slater is even flogging it on TV! These ancient seeds are derived from a desert plant which is grown in Mexico, and for thousands of years formed part of a staple diet for the Mayans and Aztecs. These days Chia is also grown in the North Western corner of Australia, 15 degrees from the equator in the Kimberley region. I can see why this “superfood” has been the latest trend as it offers a countless list of nutritional value. 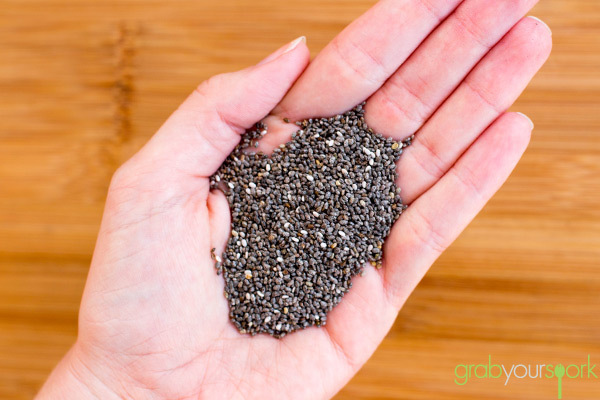 The seeds are the best plant-based source of Omega-3, dietary fibre, protein and antioxidants and the coolest thing about them is they can absorb up to 12 times their weight in liquid! 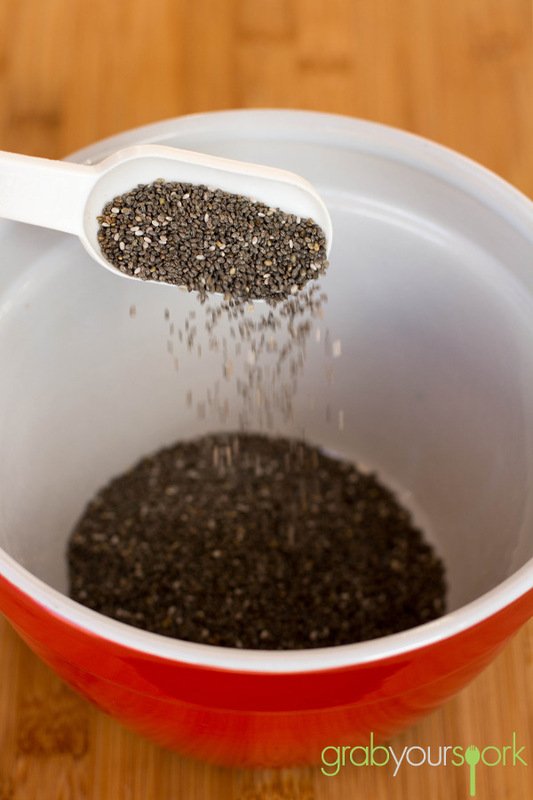 As you can see from the nutritional value these seeds are becoming a popular addition as a topping or added to smoothies, breakfast cereals, yoghurt or as we have been using them to make chia pudding. 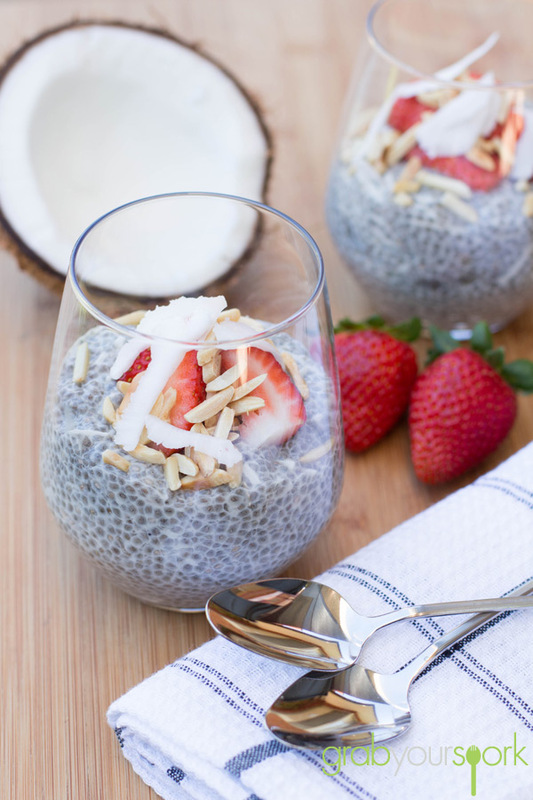 For those who haven’t had chia pudding yet, it is a similar texture to sago or tapioca. At the beginning I was a little unsure how I felt about the strange texture however it has now become a staple breakfast option for me during the week now. Not only is the pudding extremely easy to prepare, due to the high fibre it leaves me full a longer period of time. This simple Coconut and Vanilla Chia Pudding is made with nothing more than chia seeds, almond milk, vanilla extract and for our addition some dried coconut. Simply combine the ingredients together in a bowl and leave for a couple of hours allowing the seeds to absorb their miraculous amounts of liquid allowing it to form a “pudding” like texture. To top off we used some toasted almonds and fresh fruit to add more texture. However you can easily mix and match what you want mango, berries, toasted coconut or even add a little lemon. In addition we used almond and coconut milk this time, however you can use unsweetened vanilla also or if you don’t find the pudding sweet enough add pure maple syrup. Once you have made your batch of pudding it will last for a 3-5 days in the fridge – so make a jump start this week to a nutritional packed week! Coconut and Vanilla Chia Pudding made with black chia seeds, almond milk, vanilla extract and some dried coconut. Add the almond and coconut milk, vanilla and coconut and stir. 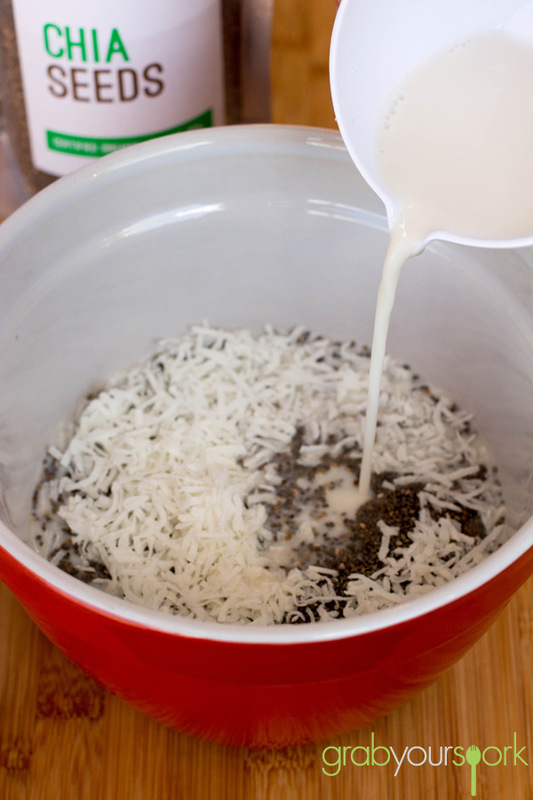 Cover the bowl tightly and refrigerate for at least 5 hours, or overnight stirring occasionally. Stir well before serving to avoid lumps. 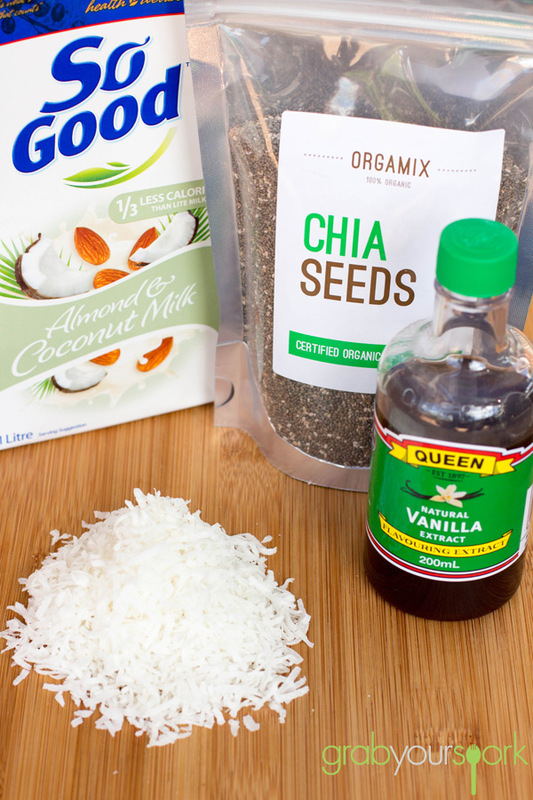 Love this Coconut and Vanilla Chia Pudding… So many good variations.